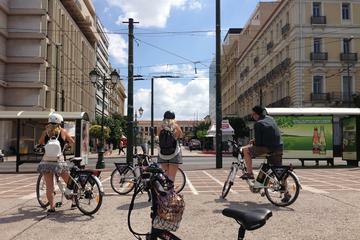 What better way to explore Athens than by bike! 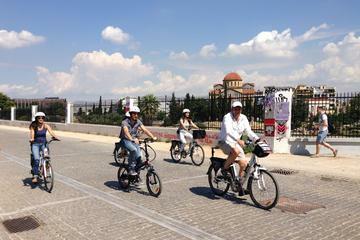 The City of Athens has already launched a pilot project for its own bike sharing service. The first bicycle rental station operates at the Technopolis cultural complex in Gazi, amid hopes that more will soon be coming. Athens Bikes is a modern, electronically-controlled, shared bicycle scheme, operated with a prepaid card. The objective is to offer residents and visitors the opportunity to use the bike for short trips around the center, doing away with the need for motorized transport. In this way, traffic in the city can be reduced ‒ depending on the number of bicycles available for use. The circulation of more bicycles on the roads will also have a positive effect on the drivers of other vehicles, prompting them to reduce speeds in urban areas and thus contributing to a decrease in road accidents. Anyone can use a bicycle after getting a personal card from Technopolis and paying for the amount of time you think you will need it for. The first half hour of use is free and every half hour afterwards costs 50 cents for up to three hours. Since the capacity of the system is limited, it is important the bicycles are used as needed and then be returned to Technopolis to be available to other users. It should just be a matter of time before more stations appear around Athens as the scheme is embraced by more people. Perfect for groups, couples and families with kids these electric eco-friendly tricycle vehicles are perfect for exploring the city.